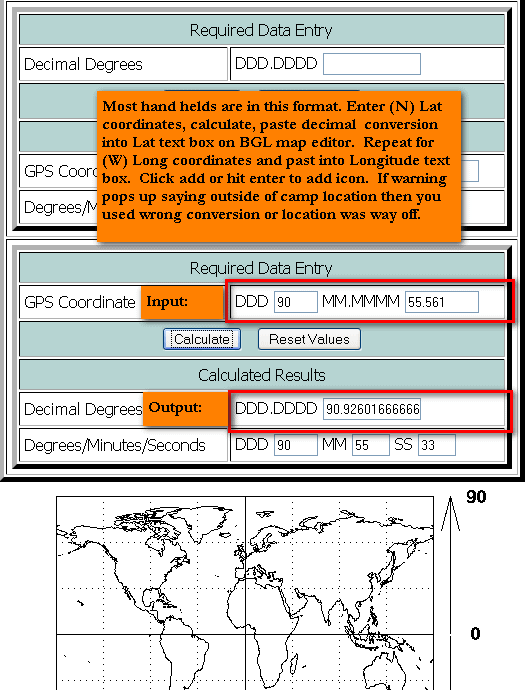 Why am I having trouble using GPS coordinates from my GPS device? Currently, we have the website set for the decimal format and it’s not able to convert from minutes/seconds which most hand held devices use. We are working on this fix and ultimately we will be able to just import, but in the meantime, here is a simple work around. Take the coordinates from your hand held and enter them one at a time into the input fields. There may be different formats so I will show where to enter below. Note: Be sure to add a negative sign - before the Longitude decimal number.